Learning Disabilities Awareness Month (October) is a time where people pay special attention to children and adults with learning disabilities. During this month, Reading Rockets asks each of you to teach one person one new thing about learning disabilities. If you find an interesting article or resource here, consider passing it along to a friend, family member, or colleague. Down and Up: The Animated Journey of a Child Struggling in School. This animation from the National Center for Learning Disabilities shows what it’s like for a child who is struggling in school. It also shows the power of kind words when it comes to overcoming obstacles. Learning Disabilities: An Overview will tell you what a learning disability is, the different types, and the causes. In this article, It Took Me Too Long to Decode My Daughter’s Dyslexia, a mother describes the warning signs for dyslexia in her daughter that she didn't see clearly. She also shares the life-changing resources that helped her understand what dyslexia is and how to get her daughter the support she needed to thrive. To learn more about reading, writing, and learning disabilities in young children, see our library of resources in Topics A-Z: Dyslexia and Topics A-Z: Learning Disabilities. Children with reading disabilities often avoid reading because it is so difficult for them. There are a number of ways to encourage a struggling reader. Sometimes it helps to read about characters who have some of the same challenges that you do. Kids can also try high/low books that feature engaging, age-appropriate stories, but are written at an easier reading level. Graphic novels can be especially appealing to readers who are reluctant to pick up a more traditional book. Audio books and e-books are other excellent options for struggling readers. Share a picture book with a child you know. Try one of these from the Reading Rockets or LD OnLine booklists listed below, or browse a longer list on our Book Finder tool. High interest/low reading level books can motivate struggling readers by providing books on topics that their peers are reading, but targeted toward their reading level. High/low books can help build reading fluency, vocabulary, background knowledge and interest in reading. See our article High/Low Books for Children to find recommended high/low books, as well as links to publishers who offer a wide range of titles. Browse Book Finder to find all of our recommended graphic novel titles. Audio books allow children who struggle with reading to enjoy a book that's at their interest level, but that might be above their reading level. They also provide good examples of fluent, expressive reading and strengthen listening skills. Browse Book Finder to find all of our recommended audio book titles. Hear first-hand what it was like to struggle with reading from Dav Pilkey, Patricia Polacco, Avi, Jerry Pinkney, E.B. Lewis, Carmen Agra Deedy, and Rafael Lopez, and learn how these talented writers and illustrators discovered their strengths and gifts. Gene Yang and Jack Gantos talk about being a "slow" reader — the challenges and the benefits! Hear from Katherine Applegate (The One and Only Ivan), Jewell Parker Rhodes (Ninth Ward), Megan McDonald (Judy Moody series), Cece Bell (El Deafo), and other authors about books that connect with kids who struggle to read. We've also included a clip with Rick Riordan, about the origins of his very popular Percy Jackson series. Percy, along with other demigods in the books, is dyslexic — inspired by Riordan's own son who has dyslexia and ADHD. 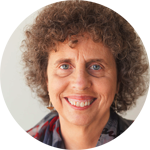 Meet Lin Oliver, co-author (with Henry Winkler) of the popular Hank Zipzer and Here's Hank series about a young boy with learning differences who is funny, resourceful, and smart. Find out why kids (and their parents) love Hank and learn more about the readable "dyslexie" font and page design in the Here's Hank series. Oliver also talks about the importance of celebrating differences and supporting the unique strengths in each child, as well as her own experiences parenting a child with attention issues. Expert Rick Lavoie talks about the importance of teaching a child with LD the necessary social skills to build solid friendships. In this excerpt from the PBS program It's So Much Work to Be Your Friend, parents learn how to plan a successful playdate. Dr. Dennis Higgins teaches seven boys in New Mexico who need some unique instruction. They are "twice exceptional," which means they are both intellectually gifted and struggling to remediate an identified learning disability. From our Launching Young Readers show, A Chance to Read. Stories about success can inspire each of us to feel more confident in meeting the challenges of learning disabilities. My Son's Disability, and My Own Inability to See It. How the special education system helped her child. The World's Greatest Underachiever. Actor and author Henry Winkler talks about how dyslexia impacted his school years. The Handicap that Had No Name. The story of how learning about the "label" of learning disabilities helped a college student to understand herself. The Journey Begins. Cary Westbrook succeeds in college and on the job despite his learning disabilities. 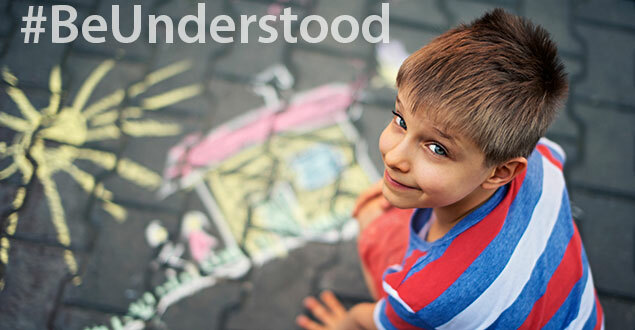 Reading Rockets is a proud founding partner of Understood, a free online resource for parents of children with learning and attention issues. October was originally designated in the United States as LD Month in 1985 through a proclamation by President Ronald Reagan. Organizations in the United States use this month to inform the public about learning disabilities through events and proclamations. LD Awareness Month is celebrated in many states, often coordinated through each state's Learning Disabilities Association of America (LDA) office.